Training sessions available for guiders to build their unit. Short sessions held at our Area Centre (#102 - 26620 56th Avenue, Langley, BC) in the evenings. 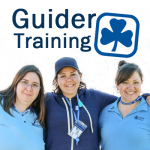 For more information please email the Training Coordinator at training@fraserskiesgirlguides.com.